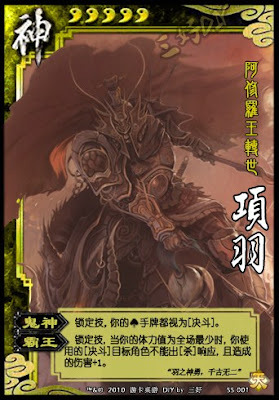 All Xiang Yu's spades are duels. When Xiang Yu is among those with the least among of health in the game and he uses a duel, the target cannot respond and the damage is increased by one. Neither power is an option. Both are required. For "Overlord" Xiang Yu can be tied for the least amount of health.